Looks like your goal today is to be entertained with a game or two. Since there are hundreds of thousands of games available on the market, you already made up your mind and are looking for some new and strong (maybe even conflicting) emotions or a life lesson along the way. Well, in that case you're in luck, because I've been looking for you and composed this list specially for you to discover. Since I personally consider these games to be groundbreaking achievements in both narrative and context, nothing would make me happier than to recommend them to someone who might have similar interests. Most of these games raise some serious philosophical questions and one needs o have a certain... mental background to enjoy them at all. And, yes, all of this is coming from a technical kind of guy and not a struggling artist, philosophy major or a religious fanatic. A couple of these games belong to a genre technically called "horror", but that's not strictly speaking a proper way to brand them in my opinion. They are nothing compared to such jump-scare fiestas as Five nights at Freddy's or Slenderman. At best, they are mostly similar to something much more subtle and chilling like Alien: Isolation. They can be scary and intense. That's it. But that's how life is at times, isn't it? I'll make sure to let you know which games you should be cautions about in that regard. Still, you definitely shouldn't play the scarier ones if you have heart problems, epilepsy or a similar neurological condition. Life lessons are good when they don't kill you, right? So take care. As for the order in which you might play these — I have arranged them how I would personally recommend to experience each one, since they are very different and some should "hit harder" than the others. So like in any area, one should probably start “small” and work their way to “heavy-duty” stuff. You will cry, you will laugh, you will gasp. And you will go through all kinds of inner turmoil on this electronic emotional roller-coaster. 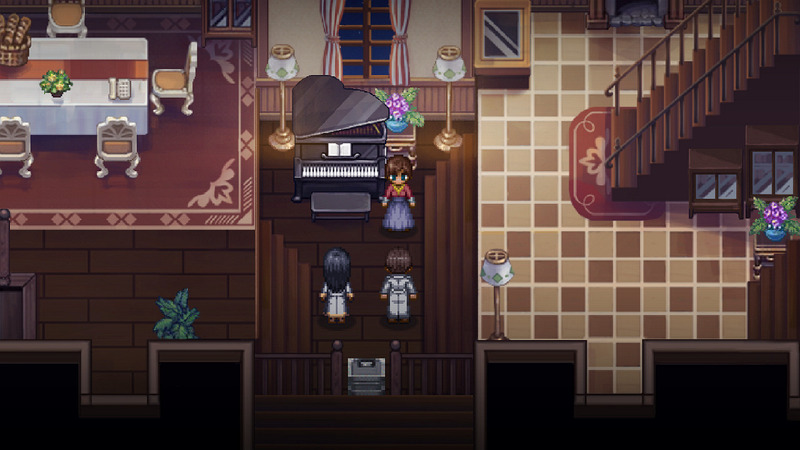 To the Moon is a special case — a benchmark if you will, which will help you find out whether such games are your cup of tea or not. If you end up enjoying this one, continue following the rest of the list in confidence. It's also quite a bit more "powerful" and "heartfelt" than the next two. It's the story of two Sigmund Corp. employees, whose jobs are quite peculiar: the company they work for offers what they call "wish fulfillment" — it's a service for people in their dying beds, where the real memories of a person are replaced with artificial ones. Since these memories conflict with the real ones, such a procedure can legally only be done on patients who don't have long to live, which allows them to "die happy" having achieved their life-long dreams in their minds. Right before they die. Sounds grim, I know. But also romantic in a way. The player takes control of Dr. Eva Rosalene and Dr. Neil Watts of Sigmund Corp running around inside "the head" of a patient Johnathan Wyles, who wants to go to the Moon. Forging memories is an intricate and complex ordeal, so both protagonists need to go all the way back to Johnny's childhood memories and work their way up to his current old-man ones to make sure there are no paradoxes and errors left which would prevent the new storyline to make sense and ultimately "stick". The game looks very similar to old-school 16-bit RPG games found on Super NES back in the day. The graphics are stylish to give the game its original look while being simple enough to make your imagination fill in the details. Although the RPG element is all but absent, there's a puzzle or two to intersperse the narrative focus of the game. 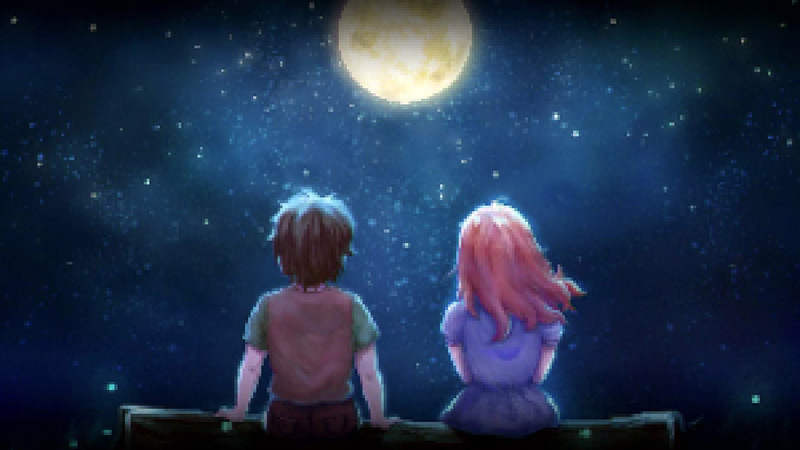 It's a gentle game which will help you witness the milestones of the life of Johnathan Wyles through the eyes of two lovable protagonists and finish the story with a deep emotional sense of accomplishment. Developed by a single indie developer Toby Fox, Undertale tells a story of a child who falls into an Underworld filled with monsters. Sounds weird? Trust me, the weirdness doesn't stop there. The Underworld is separated from the human world by a magical barrier. Therefore to go back home the protagonist must seek help from the monsters populating the Underworld. What's special is the way the player interacts with the monsters: there you have your classic text-box dialogues and battles. But battles are where the real uniqueness of Undertale comes into play: in a way, the battles are made to represent some of the classic isometric or over-the-top RPG games of the 16-bit era, but with more ways to interact with foes and an ever-changing "bullet-hell" area where most of the dynamic action will be taking place during the encounter. 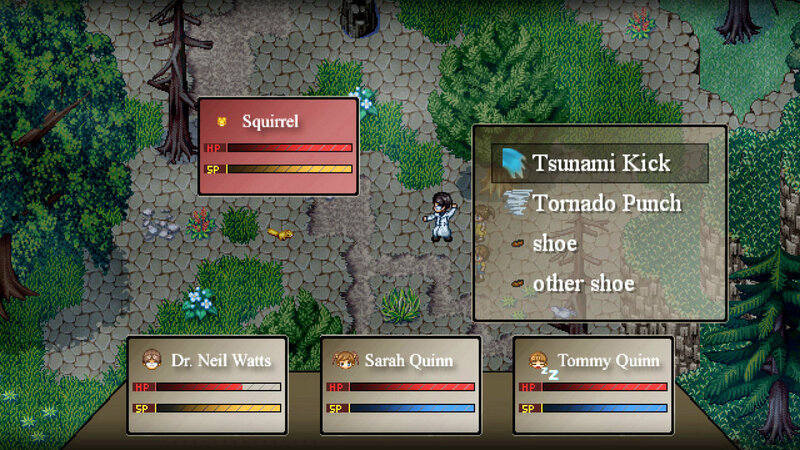 Enemy attacks and reactions also change based on how players interact with them. 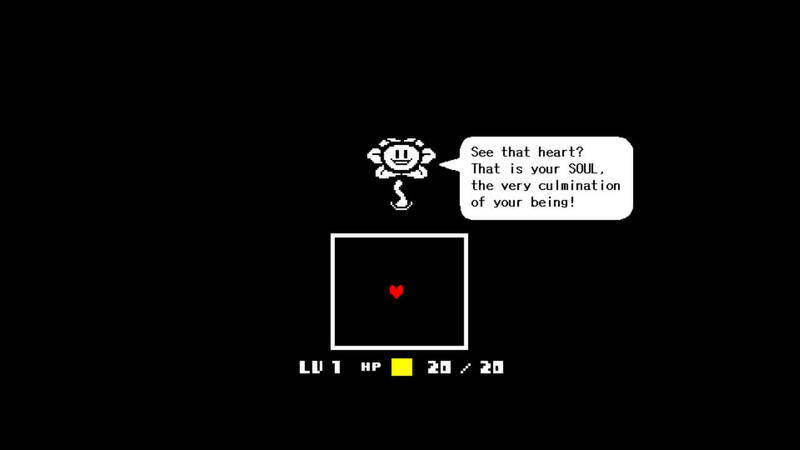 Battles aside, the game will surprise you with the way the narrative is structured and even the very first critter you meet in the game will immediately make you realize that things in the world of Undertale aren't always what they seem. The game does look goofy. I swear, if it weren't for the unanimous appraisal for it all over the internet I wouldn't have probably tried it out due to the silliness or it's rather simplistic presentation. But that's where your imagination steps in and fills in the gaps. I should also say something about the soundtrack. Well, it's freaking amazing! Granted, all tunes are done in a 16-bit-esque style, but oh my are they good... So good there are hundreds of fan-made electronic and rock remixes all over the web. There's a healthy dose of humor bestrewn throughout the journey as if to reinforce its wackiness, seen as a welcome addition since it allows the player see the true nature of the monsters and that they too try to live normal lives. Normal for their world that is, anyway. You'll meet all kinds of monsters, make new friends and find out the story of the world but not without experiencing some rather unorthodox encounters and reactions of some of them to your intervention. 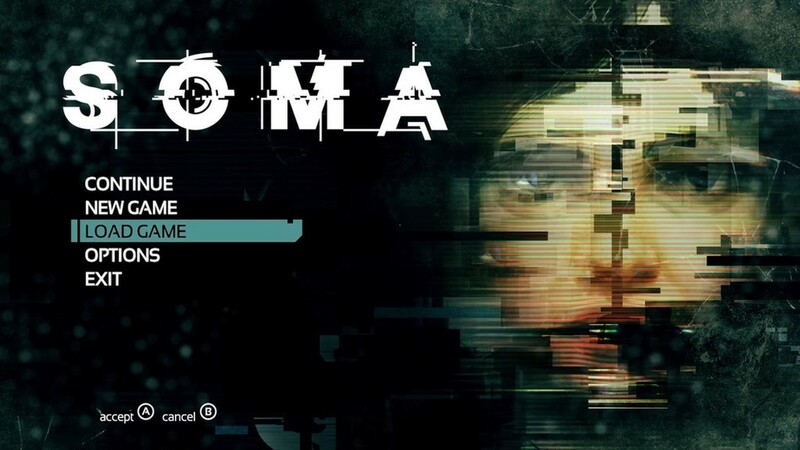 People call SOMA a "first-person science-fiction existential survival horror game". What a mouthful, right? Except that it isn't as "horrifying" as simply unsettling in my opinion, but I have a background playing some really chilling titles, so your mileage may vary. The story begins with Simon Jarrett, the protagonist of the game, surviving a car crash, but ending up with a permanent brain damage. Not having a lot of options and funds available, he agrees to an experimental procedure involving a brain scan at PACE Laboratories. Sounds mundane and simple enough until the actual scan takes place. That's when the story really takes off and makes the player question his surroundings and look for ways go survive in a dark and hostile environment. Along the way the authors take liberties with interpretation of the human condition and provide their own theoretical concepts on which the whole premise of the narrative is built. 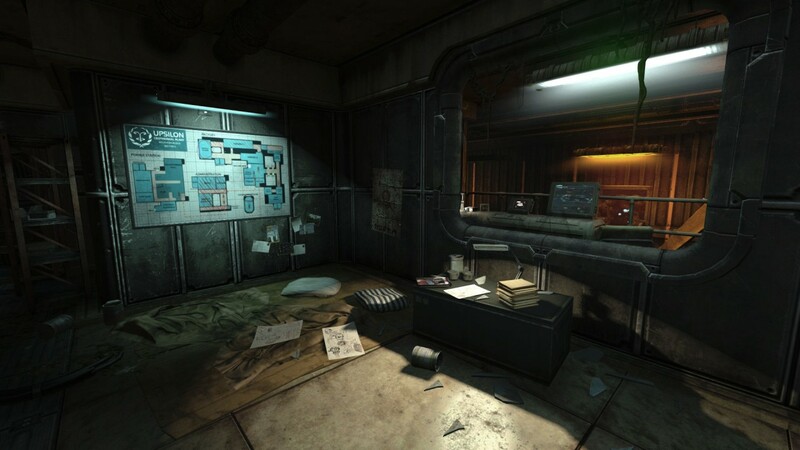 And I have to admit, it holds up quite nicely, leaving you wondering where the science ends and the fiction begins in the sci-fi world of SOMA. 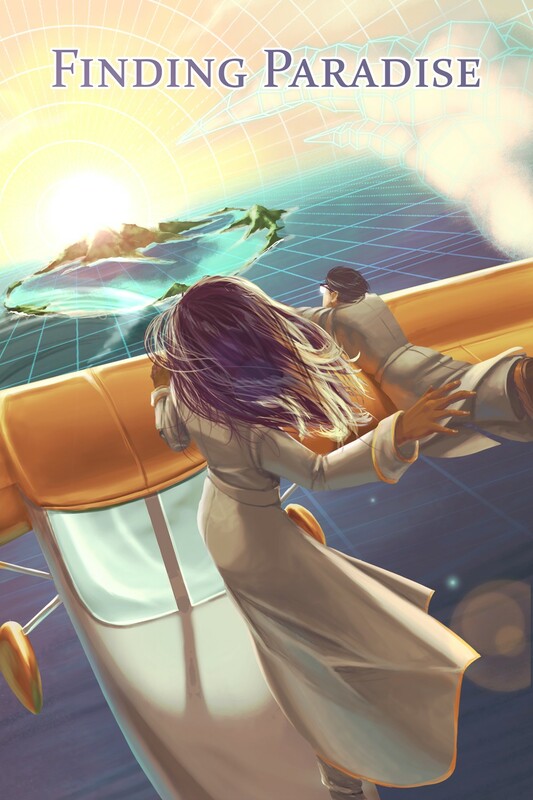 If you like challenging exploration games, try and see whether you're skilled and lucky enough to escape PATHOS-II in this intriguing piece of interactive storytelling. Dr. Rosalene and Dr. Watts are back for another job! This time — to fulfill the dream of a dying airline pilot Colin Reeds. There's a slight complication though: the patient wants to be happy, but instructs the company "to change something yet change nothing at all". How's that for a well-defined task? So this time Dr. Rosalene and Dr. Watts will first need to find out what could be changed within the memories of the patient at all which would make him happy, before even attempting to do so. 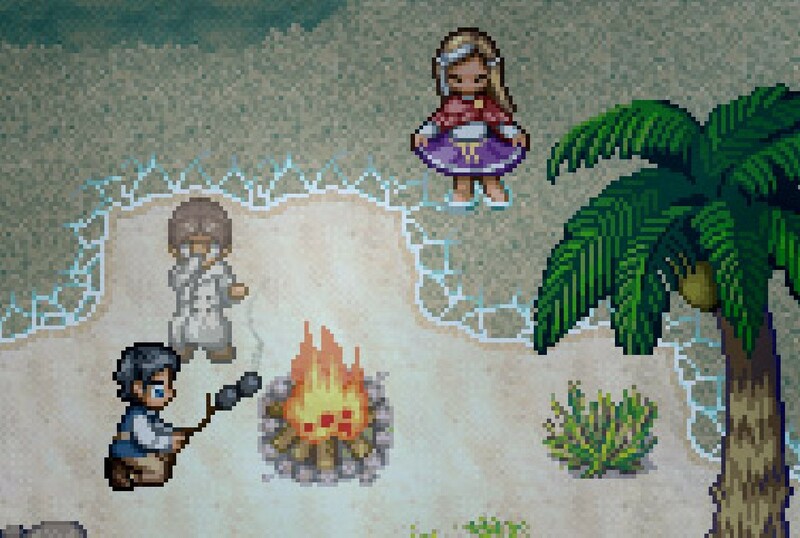 The reason I don't recommend playing Finding Paradise right after completing the story of To The Moon is simple: the games are way too similar in presentation and overall flow of the story and gameplay. To enjoy Finding Paradise to the fullest you should probably take a break after the previous title. The longer, the better. By playing Undertale or SOMA for example! There's a reason they are higher up in the list, you know. 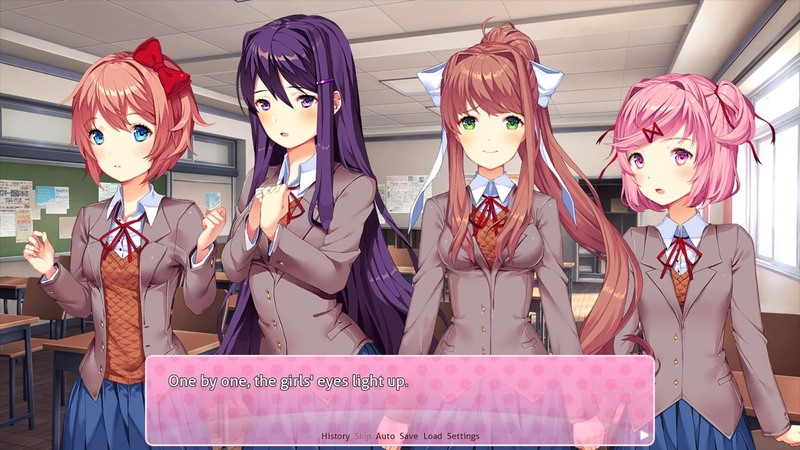 The game features even more quirky humorous scenes, the player will find out more about the protagonists and at some point will be allowed to do some character customization! Wow, talk about cutting-edge features. As for the "feels" factor, well... Remember what you went though after playing To The Moon? Multiply by 2 or 3 and you'll know what to expect from Finding Paradise. It packs much more punch and delivers it with great tact and precision, that's for sure. It's a touching and heart-warming story the key topic of which which will surely resonate with almost any player as soon as it's revealed throughout the tale. I can tell you precisely when I finished my first complete playthrough of the game by looking at a not-so elaborate post from May, 2017. Since then I felt like I really needed to elaborate. Today I can finally do just that, except while also trying to avoid spoiling the game for the new players. Quite a challenge! 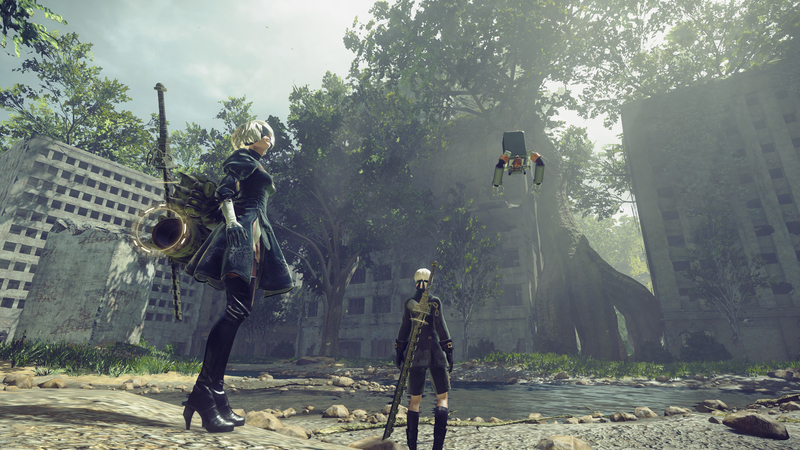 Due to its extended longevity compared to the rest of the games in the list, Nier: Automata can be a hit and miss with different players. For example, I find it has a very strong story (not without flaws, but still) whereas a friend of mine called it an ordinary anime superhero flick which for him, having seen lots of anime titles, took away a lot of the game's originality and charm. 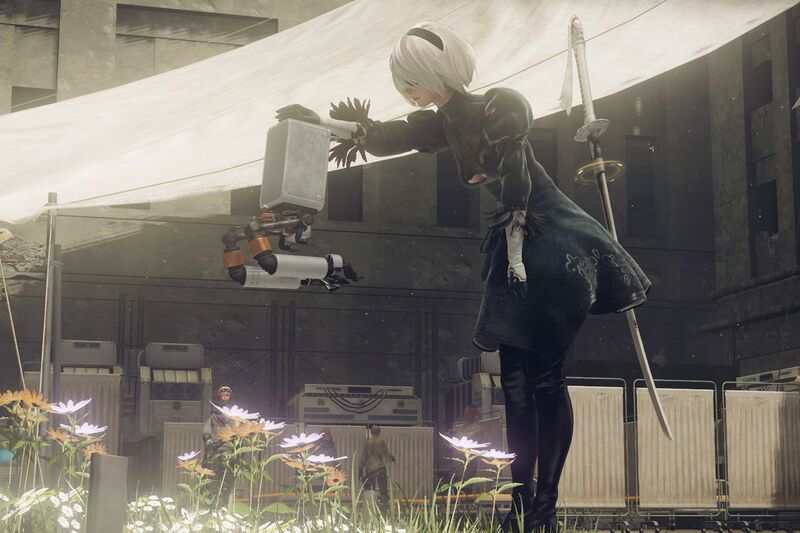 Lucky for me I don't watch anime, so to me the story of Automata seemed like an original and captivating piece of interactive narrative with a strong "punch". But how do you explain Nier: Automata without stepping deep into the spoiler territory? I'll try to at least briefly explain what's so special about the game's universe. The world of Nier is very complex. So before playing the game I would highly recommend you check out an excellent brief article over at Twinfinite where they explain the most important milestones of the previous Nier games. This is something I wish I knew before playing Automata for the first time. There are no spoilers, but rather some important info on the Nier Universe which should give you enough foundation to build the experience during your very first playthrough. The story of Automata picks up in the year 11945 AD, where yet another war breaks out between human-made androids and the machines — invaders from the alien world. It's been going on for hundreds of years with various degrees of success for the both sides, but the androids are the ones we'll be siding with on their mission to clean the planet of all rogue machines to make space for the remainder of the humanity, who are at the time taking shelter over on the Moon. 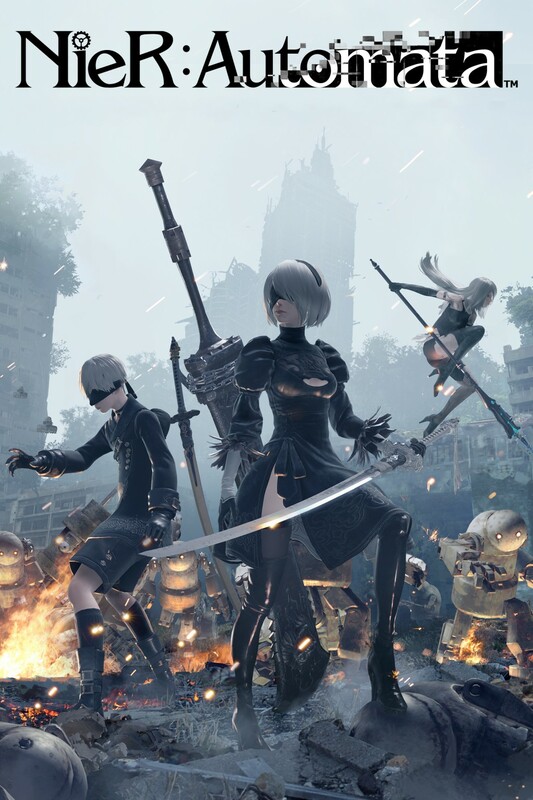 Two android field operatives: 2B and 9S, the Battler and the Scout units, are sent to investigate the change in the machines' behavior which happened to occur for the first time in many-many years. Of course, there are complications. And of course, there's drama. The latter being the main selling point of the game apart from the 2B's short skirt and high heels. 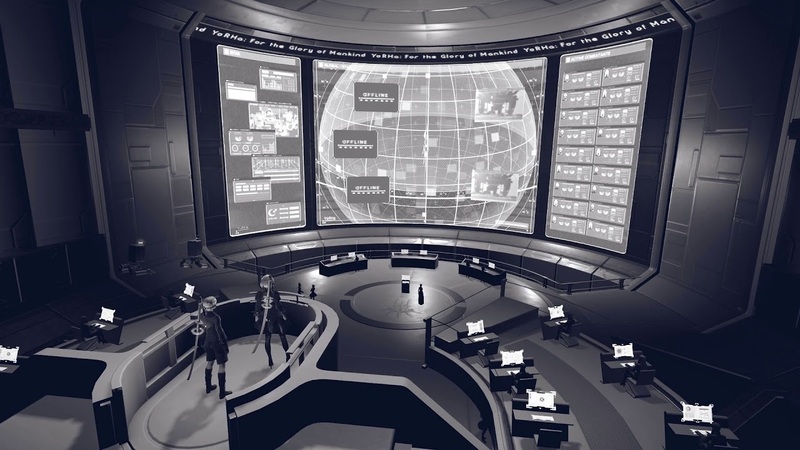 Of course, the protagonist androids and the machines have their beliefs and doubts, strengths and weaknesses as well as history, all of which are there for the players to unravel. One of the original ideas permeated throughout the game is the fact that we're observing artificial forms of life (androids and machines) who are trying to act like humans, but not being human themselves are in some ways doing it in funny and very unorthodox ways. Human players in this case are given the role of maser observers being able to spot oddities in behavior and compare those to their own reactions, those of the original humans. There’s something else you should know before starting your first playthrough, that isn't considered a "spoiler" but rather a harmless piece of trivia "before you go": when you think you've "completed" the game for the first time and are sitting in awe and dismay exclaiming: "Is this all there is!?" (I sure know I did!) — do keep in mind that it’s a game by a Japanese publisher. For some reason they decided to split the game not into "chapters" or something similar, but outright "endings". Yes. There are several endings to the game, but you should just think of them as chapters, since the game actually goes on after each one. The story continues to develop and the player gets access to new gameplay mechanics as well is given a chance to experience the narrative from the points of view of various heroes. Again, my goal here is not to spoil the game too much, so I won’t even specify how-many endings/chapters there are, all I can say is that there are more than three. 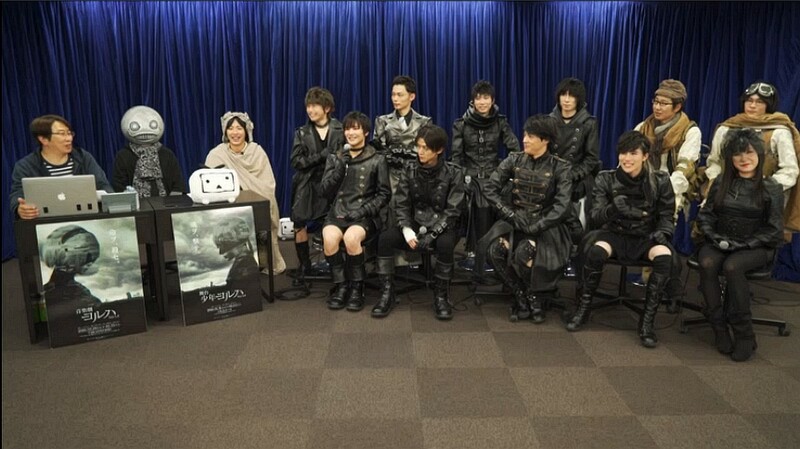 Yet another interesting fact: due to the way the director of the game Yoko Taro prefers to deliver his stories, the full narrative of Nier: Automata is in fact spread over several types of media: apart from the game itself which is based upon events that took place in the Nier universe, there are short stories, stage plays and musicals, which actually fill gaps left within the game's narrative. Luckily, both books and shows can be more or less considered supplementary to the game, therefore you'll able to grasp the story even without them. Personally, I found the relationship between the two main protagonists — 2B and 9S to be the highlight of the whole story. It's wonderfully complicated and up to this day I couldn't find a single example of anything similar in all of the books, films and games I've gone through in my life. At first it seems like there is no relationship, but the longer the story unfolds, the more you find out about each of the heroes and about their past... well, to a certain degree. 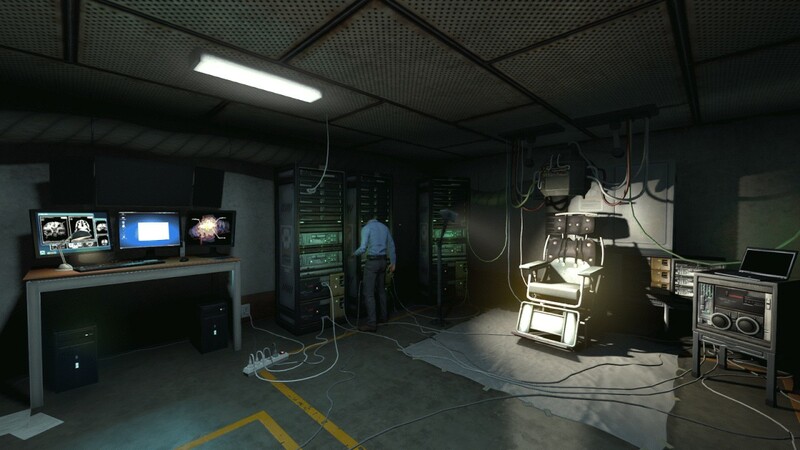 If you do decide to complete the game and wish to find out more about the previous assignments or the android duo, make sure to read the short stories called Memory Cage and Memory Thorn (in that order). Again, it's so challenging to explain it using nothing but the broad strokes so as to avoid spoilers, that I'll probably leave you curious to explore yourself. As soon as you're done your complete playthrough and have seen all endings and routes, you may become hungry for some game lore to find out more about the Universe and the characters. You can then (and not before that!) visit the Lore FAQ page and get ready for some juicy details which should also blow your mind, since you will have only scratched the surface of what was happening the whole time you were playing. The game features one of the most beautiful soundtracks of all time. I swear, while playing I was sometimes actually distracted by how epic the music was. Maybe even too epic in several instances! Nier: Automata has its own style of presentation, but doesn't dazzle when it comes to graphics in general. Thankfully, in this case graphics aren't everything and the story steals the show anyway. The game goes so far as to question the meaning of life itself: several times throughout the narrative the question is presented in many forms and from many sides, including the protagonists'. It's captivating to see how each one sees and understands the world they exist in. OK, OK... I think it's time to wrap this up. This isn't a full-fledged review, but a short description after all! I consider Nier: Automata to be one of the best games of the last decade. Hope you find it as impressive and substantial as I did. Just like with Undertale, looking at the poster and the game page on the web, you'd never guess what you've gotten yourself into. 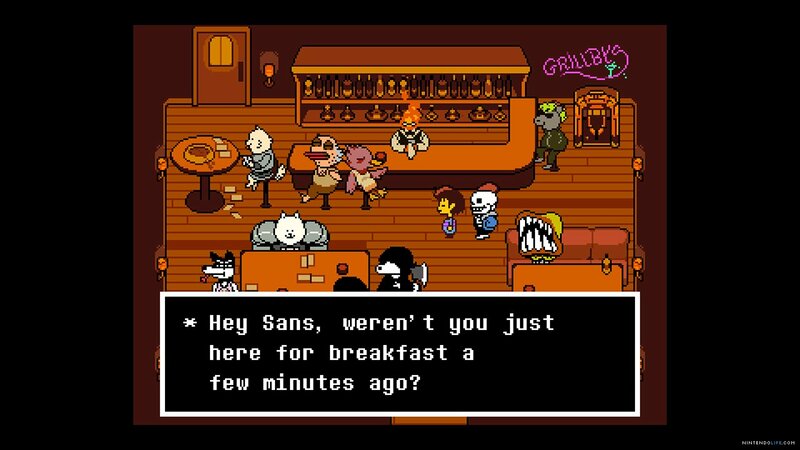 Except where Undertale goes for a warning or a friendly snarky comment from Sans, DDLC goes for a sudden and ruthless blow. 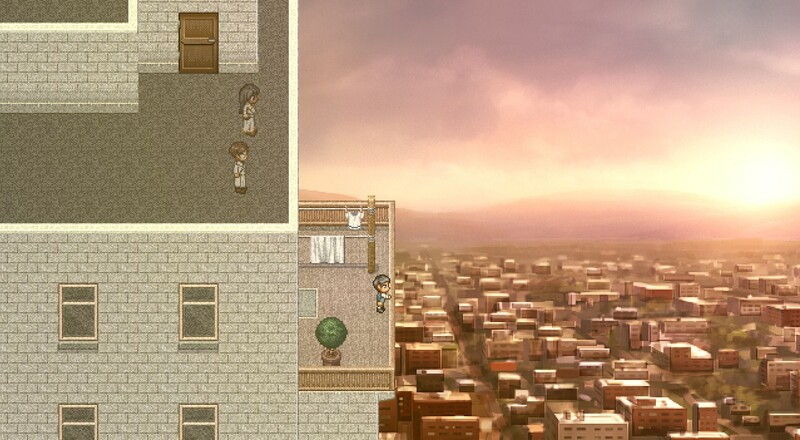 What you're looking at is a game designed to look like a cliché Anime Visual Novel. You know the type: pick the girl you like and though dialog and actions slowly but surely get her to like you in return while ultimately ending up either in bed with her or even in a full-fledged relationship. "Designed" is the key word here. 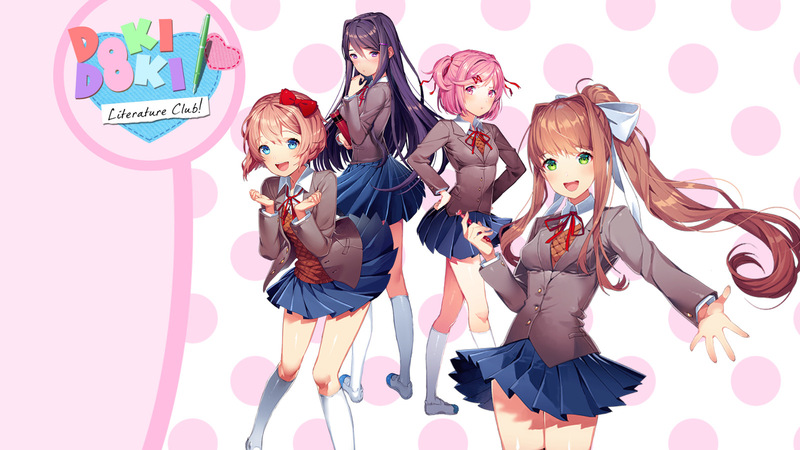 Both the game's website and the Steam page screenshots, trailer and description make it seem like it's a friendly visual novel with several clad girls for you to romance. 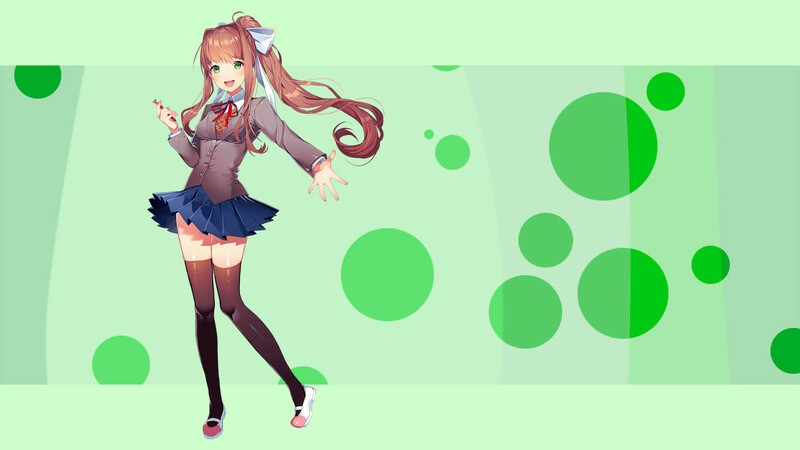 Monika — a pretty and amiable founder of the club acting as the current club president. And you, the Player. The newest member of the club should you decide to join. The premise is simple: as a member of the Literature Club you will need to come up with poems which should resonate with each of the girls' interests. It's a great game you should definitely pick up! It's also free. It's true what they say: "The best things come in small packages". I strongly encourage you to reward the developer if you end up... appreciating the experience or happen to realize something about yourself. Like I did. Here's a quote from Dan Salvato, game's writer and lead developer: "People become disturbed when forced to think about things they don’t want to, or shown a reality that they always try to ignore, but humans aren't rational creatures. It’s when we’re emotionally charged that we become inspired to do something for ourselves, or for others." Confused yet? Yeah. That's exactly why I put this particular title at the end of the list. It's a hard pill to swallow. And even harder to keep it in. It's also paramount you don't look up the game on the internet!!! The first image you'll see among the search results will completely ruin the experience! I'm not kidding. Just follow the link to the game's website and get it from there. Deep and meaningful games teach us how to be human. How to feel, how to care, as well as allow to see the results of our own actions and maybe change the way we look at things and interact with our peers and loved ones. I'm always on a look-out for such powerful and impactful interactive multimedia projects. 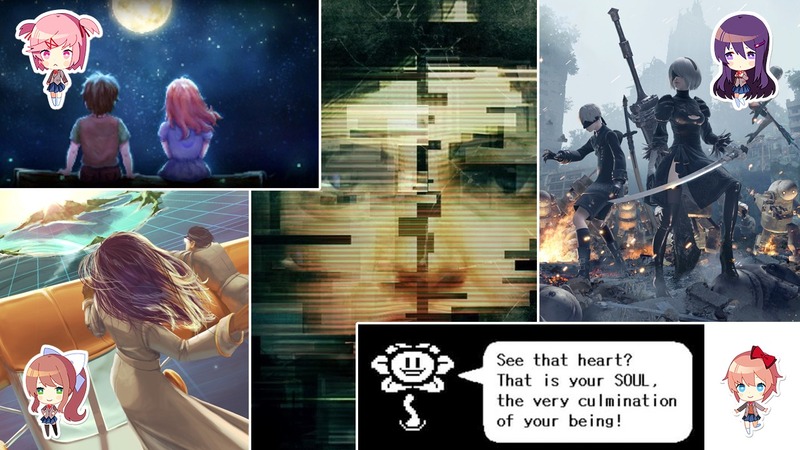 Can you recommend any other games fitting this particular kind of narrative which you think should have made it into this list?